I'm still making nice progress with my 2014 Crochet Mood blanket and through April kept up my average of one a day keeping me ahead on my year to date goal. 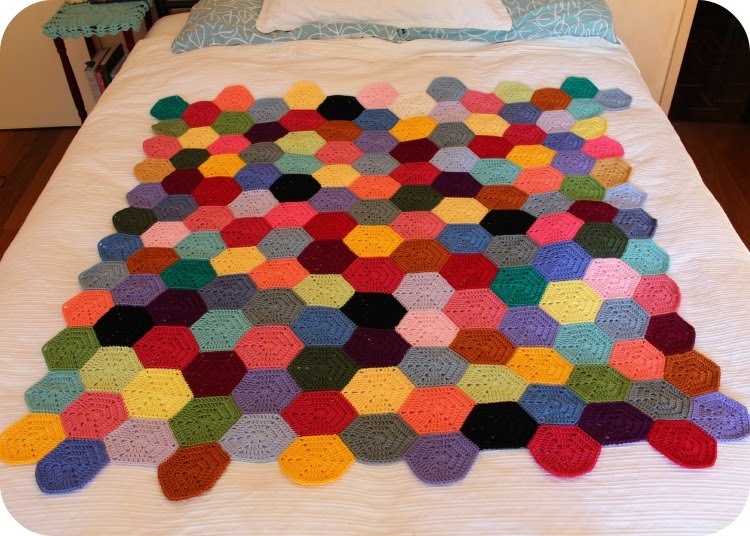 I currently have 157 hexagons and am just past the halfway mark. I am particularly loving the various pink, yellow and green tones together in this corner. If you saw my update yesterday you would have noticed that while this is a WIP I do still use it to cover me if I curl up in my craft chair for a nap, or as in yesterdays post when I was feeling sick, its a really good size now and could be finished as a small throw. I'm using a combination of Morris and Sons Pima Cotton in the 8 ply and Bendigo Woollen Mills 8 ply cotton. I'm working with a Clover Armour 4.50 hook and joining with a whip stitch through the back loop. 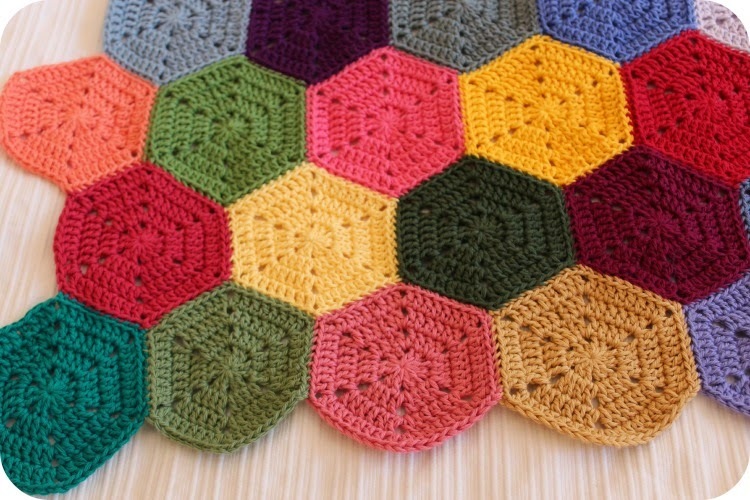 I've decided to add a sidebar link to my monthly updates on this project which you should be able to see in my labels now as Hexagon Blanket Update. Handy if you are interested to see my progress across the year all in one stream. I'm really pleased with how this one is coming together. Wow Tammy it is looking awesome! I love how you join as you go - no ends at the end! !